After more than two robust years of experimental film, video, and performance programming, Cellular Cinema has established itself in the Twin Cities as one of the go-to alternative cinemas for exploring contemporary avant-garde moving image art. Typically hosted in the small theater at Bryant Lake Bowl, Cellular Cinema regularly welcomes guest curators from across the country, featuring work of numerous nationally renown and local artists. 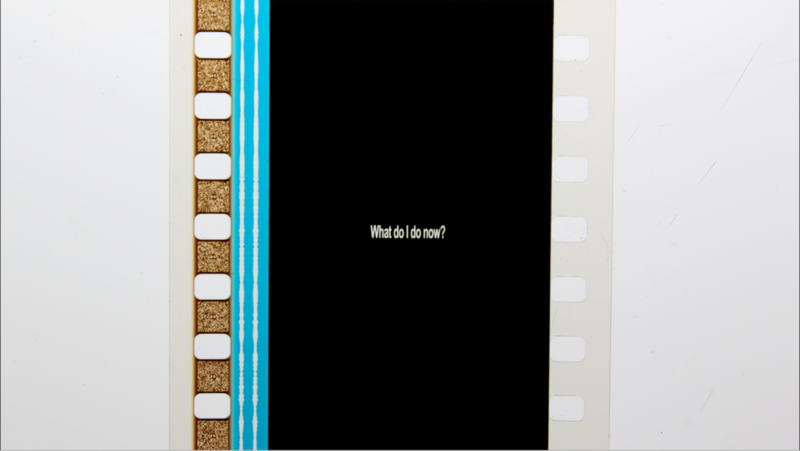 Screenings are in 16mm, super-8, sometimes with multiple projectors, sometimes including live sound or performance accompaniment, as well as HD and SD video. The team includes Kevin Obsatz, Richard Wiebe, John Marks, and Sam Hoolihan. Founder, Kevin Obsatz meets with Bentson Archivist and Programmer, Ruth Hodgins, to discuss experimental cinema, the moving image community in Minneapolis, and future plans for Cellular Cinema. Ruth Hodgins: Cellular Cinema describes itself as “a community dedicated to the idea that moving image art can be a realm of exploration, improvisation, and play on a small scale, using a wide range of tools, techniques, and technologies, unbound by the commercial considerations of mainstream narrative media.” How did you come to explore and take part in a community focused on alternative forms of moving image art? Kevin Obsatz: When I was in Traditional Hollywood Film School, the professors were always stressing that everything needed to be clear all the time—every shot, every scene needed to convey very specific and intentional information and emotional content to the audience, so that everyone in the room was always on the same page, progressing through the movie. The laughs, tears, thrills, etc. needed to synchronize perfectly. And we, myself and the students I hung out with, would always argue in favor of ambiguity and a more subjective experience. A good working definition for me of experimental moving image is simply allowing everyone in the audience to have their own experience of the work, and not trying to control and optimize their reactions to each moment. I could go on and on about this, but that’s the main thing, I think. Hodgins: You’ve been working in experimental moving image art for a number of years, as an artist, programmer, curator, and writer. How did you get started working across practices? Obsatz: I have been working with video and then film and then video since my teens, and I’ve never been willing or able to limit myself to one particular format, medium or genre. I’ve worked in kind of classical narrative cinema and documentary as well, alongside small-scale experiments, but then I didn’t know what to do with them, who might want to see them, where I could show them. I discovered the experimental film community in Paris by accident when I was living there in the early ’00s. I think before anyone coined the term “microcinema,” Paris was already full of really tiny theaters, like 25 seats but still projecting 35mm film, and so I met a few people and found out about these literally underground film screenings, in these small basement theaters, and I was really impressed that they seemed to be thriving right alongside the new Harry Potter film or whatever. Exposure to that community also filled me in a little bit on the history of experimental film, particularly in New York in the ’60s and ’70s. I got an intro course just based on who people were talking about and what was screening as “classics.” So, in the relatively short time I was there, Tony Conrad came to do a performance, Michael Snow was there premiering a film, Adolphas Mekas, brother of Jonas—I didn’t really know they were a big deal, except based on the reactions of people at those screenings. Hodgins: Often Cellular Cinema is described as a community organization, bringing people together to experience new forms of cinema. What do you think are the benefits of viewing together as a group, rather than alone like many people tend to favor? Obsatz: I’m extremely uninterested in watching experimental films alone, online. People send me links to work that I’m sure is fantastic, but I find sitting alone staring at art on my laptop screen really depressing. I originally got into filmmaking because of the social dimension, the way it prompts interaction with people, and I think it’s a really beautiful experience to watch films with people. I rarely go to a multiplex anymore because even though there are still technically other people in the theater, people tend to try their best to ignore each other. Whereas with Cellular Cinema, the room is full of filmmakers and experimental film enthusiasts, we’re watching the work of filmmakers who are often present as well, and interaction before, during, and after the screening is encouraged. Hodgins: In addition to running Cellular Cinema you have your own art practice. Has Cellular Cinema helped create a dialogue for you as maker? 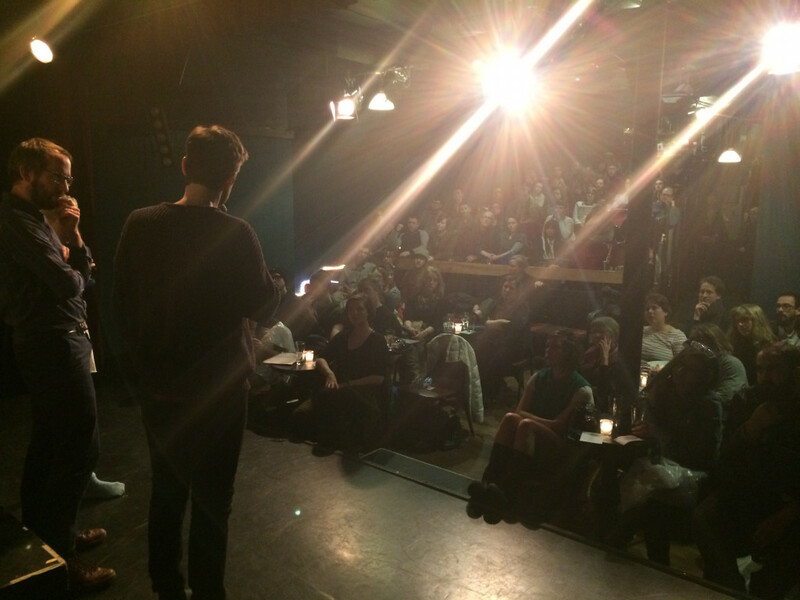 Obsatz: As a filmmaker, it’s so important to have opportunities to watch your work with a roomful of people. Outside of an academic setting, those opportunities can be reduced to a couple of festival screenings per year, or fewer… so I know that as an artist, just having a place to share work makes a huge difference in my motivation to start and finish projects, and probably in the overall quality of those projects as well. Hodgins: On your website, Cellular Cinema is described as “the only regularly occurring event in Minneapolis or St. Paul that features short form, experimental contemporary moving image art.” How active is the experimental moving image art scene in Minneapolis over the last 5 or 10 years? Obsatz: Honestly, I think I can only speak to the last few years. We started Cellular Cinema screenings in 2014, which is when I met Sam Hoolihan and John Marks, and they started their Mirrorlab collective and darkroom a few years before that. Probably there have always been cool people doing cool stuff, but I didn’t know how to find them, which was the main reason for starting the screenings. Hodgins: You’ve discussed your experience in Paris frequenting microcinemas and being inspired by the community there. How did you find and activate a similar community of experimental moving image enthusiasts here in Minnesota? Obsatz: That’s an ongoing process. Initially, I made the decision to get my MFA at the University of Minnesota largely because I didn’t know anyone else who was interested in doing the kind of work that I was doing. So access to the academic art community (art teachers and art students) was the starting point. But after that, Cellular Cinema itself has been the best way to find like-minded people. It gives me a great excuse to contact pretty much anyone and say, “Hey, we’re doing this screening, I heard about your work, are you interested in sharing something?” That’s harder to do as a random artist, whereas it’s so easy when you can invite people to screen their work. Hodgins: In your manifesto, you describe Cellular Cinema’s goal: “We propose a methodology of cinema that is small in scale, self-contained in terms of resources, and unpredictably alive in terms of content and form.” What are the audiences you experience and expect at Cellular Cinema? Obsatz: It has been important to me to not stress out about filling the house of 75 seats for each screening. I don’t want to harass anyone about coming, so I generally send one email and create an event on Facebook, and that’s it. As a result, the people who show up are often genuinely invested in experimental film, curious about what’s going on, willing to be challenged and surprised by the work, and generous and supportive of the artists. I think our smallest audience was probably ten, but we have completely filled the house on more than one occasion, and I’d say we average between 20 and 40 audience members. Hodgins: Cellular Cinema is predominantly hosted in the small theater space at Bryant Lake Bowl. Are there other venues or organizations in the Twin Cities that you work with to help promote and encourage experimental moving image art? Obsatz: One of the best things about starting Cellular Cinema has been the relative lack of competition on the experimental film front. Our website says “the only regularly recurring screening series of experimental film in Minneapolis,” and, as far as I know, that has been true for the duration of our existence thus far. I am happy for CC to be the hub for as long as that naturally occurs, and I want to use the audience and community we are building to support other experimental film events and opportunities. I’m really excited about what’s happening at the Walker these days with the Mediatheque and the Ruben/Benson Moving Image Collection, and of course I love the Trylon, though they focus more on feature-length and repertory programming. If I’m overlooking something, someone let me know! But other than a few annual festival-type things, that’s all I can think of. Hodgins: You often collaborate with artists and curators from across the United States for screening events. Has Cellular Cinema travelled and worked with the experimental cinema community outside of Minneapolis? Did it affect how you’ve developed Cellular Cinema? Obsatz: My experience in Paris helped me to see that this kind of community was possible, though Paris has the benefit of more artist and filmmaker traffic in general. I’m also indebted to the Echo Park Film Center in LA, which is (I think) 15 years old, and seems to have an excellent, sustainable model for community engagement, film-on-film making and screening, and a collectivist ethos. I am very intrigued by the communities and resources that seem to exist in Chicago and Winnipeg, though I haven’t explored either of those locales in great depth. One of the biggest surprises for me has been discovering that experimental filmmakers go on tour, like bands, and can find venues all across the Midwest for screenings. There’s like a circuit or network that includes Detroit, Chicago, Milwaukee, Madison, Iowa City, Winnipeg, and now Minneapolis. We should formalize that as a network or association or something. Maybe that’s the next step. Hodgins: If someone wants to attend Cellular Cinema for the first time but is new to viewing experimental moving image art what would you tell them to expect? Obsatz: When I host a screening for an audience without much prior experimental film experience, I always say, “You don’t have to like anything.” I had an audience member once tell me that he found that enormously liberating. The point of art is not for everything to be pleasant and likable. We have mainstream cinema and television for that. Hodgins: You’ve had a very busy first couple of years. What do you have planned for Cellular Cinema over the next year? Obsatz: It’s funny how quickly a year’s worth of programming fills up when you only have one event per month. I just spoke to someone who is doing experimental film programming weekly in North Carolina, and that sounds incredibly stressful to me. But, we already have some amazing guests booked through the first half of 2017, and we’re starting to think about the fall already. We have a new Mobile Microcinema that we’re starting to take on road trips around the cities and eventually further afield, and I applied for funding to start a quarterly Microcinema/Experimental Film Review—but I just found out that application was rejected. I would also really like to expand our programming range to invite more international filmmakers… but that might require an actual budget. For now we’re making do on essentially zero money; box office revenue goes to the artists, and various resources like projectors, projectionists, and admin are all donated. On one hand it would be cool to grow bigger, but on the other I really like the scale we’re at now—we’ve been able to do so much with so little, thanks largely to the generosity of guest filmmakers and curators.